Safe and effective escape with minimum effort is provided by all variations of this door. The range of emergency exit hardware available meets BS EN 1125 and is therefore suitable for panic situations. A choice of a Briton 378E push-bar surface mounted rim panic latch, 376E push-bar surface mounted vertical panic bolt, 379.N push-bar mortice panic night-latch, or their equivalents can be fitted to the Mainstay Emergency Exit Steel Door. Each of these prioritises ease of escape and can be fitted to right or left hand openings. A double door push-bar panic set is also available. Outside access devices in the form of Briton 1413LE lever handle units are compatible with all the above emergency hardware options. These are suitable for high traffic applications as they have been tested up to 200,000 cycles, have an anti vandal design and are also suitable for left or right hand openings. 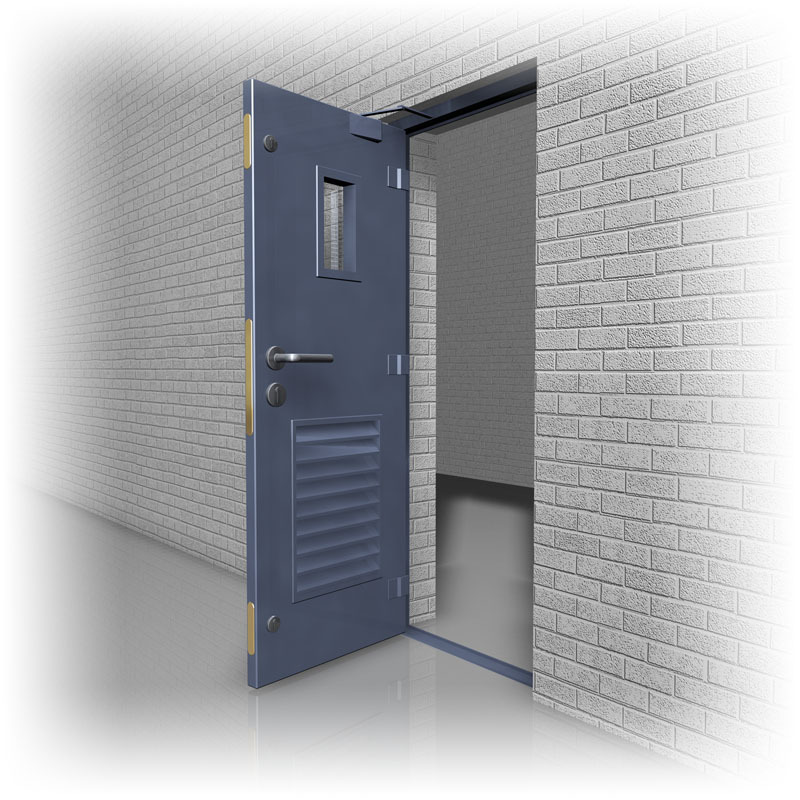 The basic construction of this door is identical to our Mainstay Security Steel Door, which has a substantial construction, heavy duty hinge bolts and weld-on hinges, Security / retaining Z-plates and clapping lath. A heavy duty overhead door closer, compatible with all locking options described, and insulation can be fitted to the door. There is also the capacity to add an armoured glass window/vision panel, louvered panel, or door viewer, and both primed and powder coated finishes are available. None of these additions have any detrimental impact on the ability of this door to provide an effective escape route.